If you need to get a new PC on a tight budget, or replace an old one, you might have considered buying a refurbished laptop. Despite some obvious concerns, a certified refurbished model can be a good choice to save some money. A lot of websites and online ads promise us amazing deals. Some of them, however, are just too good to be true. In this guide, we will see what to check when looking for a cheap refurbished laptop and how to avoid scams. Have you tried searching for a refurbished laptop? 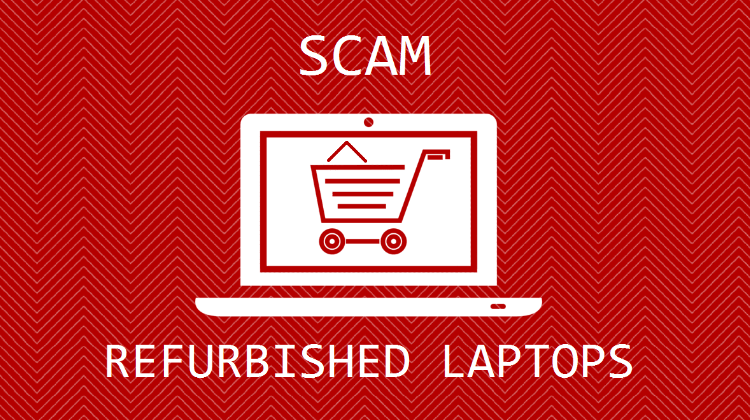 Although a scam website could actually claim to sell any product, it seems that refurbished tech, and especially laptops, is commonly their number one choice. 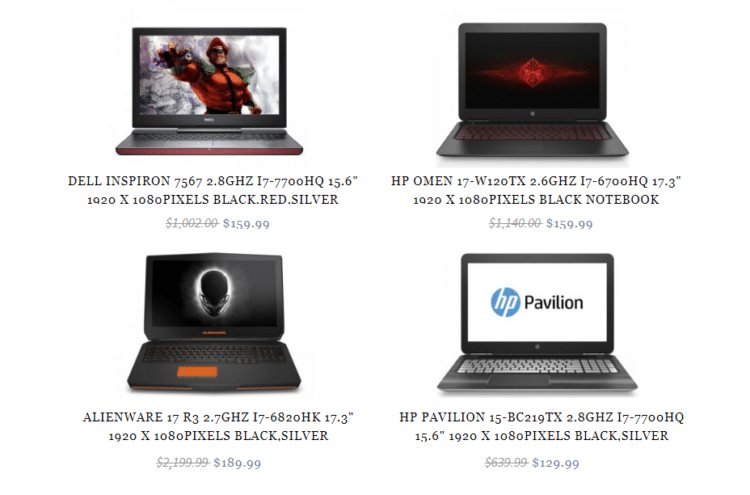 Most of the fake online stores we occasionally encounter will claim to have at least a refurbished laptop in stock. It's usually an expensive brand and model: Alienware, MacBook, HP Omen, etc. Always, the laptop is supposedly available at a tiny fraction of its actual market value, and they make a point of it on the website. A possible reason could be that facing the term "refurbished," a potential victim-customer may justify the highly irrational price. After all, it still is a used product, so, who knows, it might be just on a big sale. Also, supposedly selling a refurbished version of a well-known brand laptop allows the scammer to price it suitably; a MacBook priced at $199.99 seems like an awesome deal, but we are still sending two hundred bucks directly to the scammer's pocket. So let's see the major things we should consider when looking online for our new refurbished laptop. A significant number of scam sites offering high quality but low-priced refurbished laptops will use some weird domain name. It may be three or four different words put together, or something with an explicit reference to a famous brand or product. This way, they are trying to establish a connection with them in the customer's mind. But if we are careful enough, we can quickly conclude that they are not related to the actual brand. 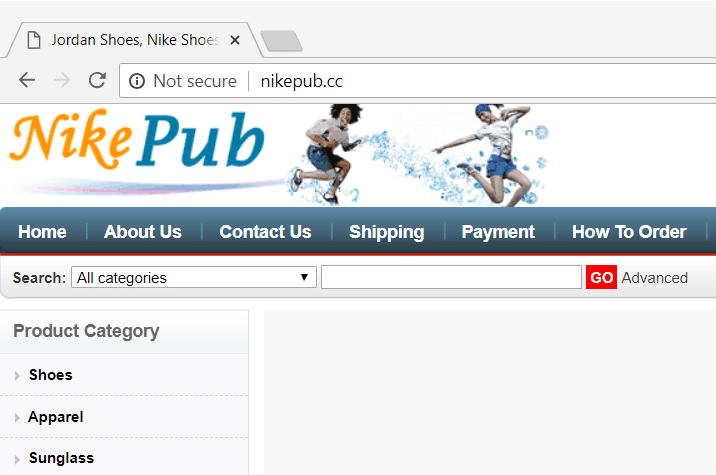 For example, websites such as www.imacoffers.org or www.discountalienware.com should definitely ring a bell, just by looking at their domain names. We should also keep in mind that online shops almost never use domains ending in .net or .org. This means there is a serious chance unreliable organizations have obtained such names. It is highly likely that refurbished laptops offered at impossibly low prices belong to a scam website. 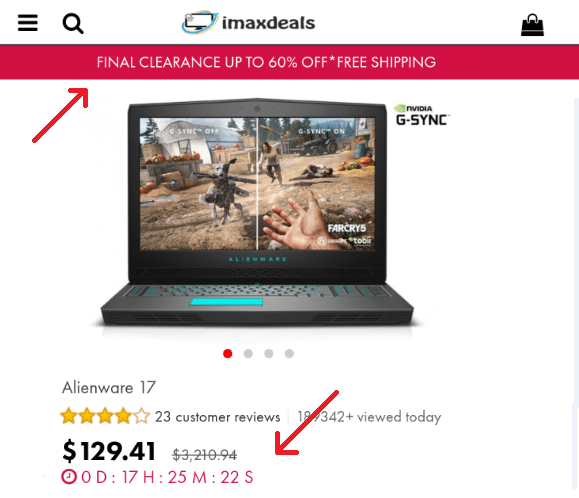 If an unknown webpage claims to sell an MSI laptop in a tenth of the price we find in a trustworthy online shop, we can be sure something is rotten in the state of Denmark. 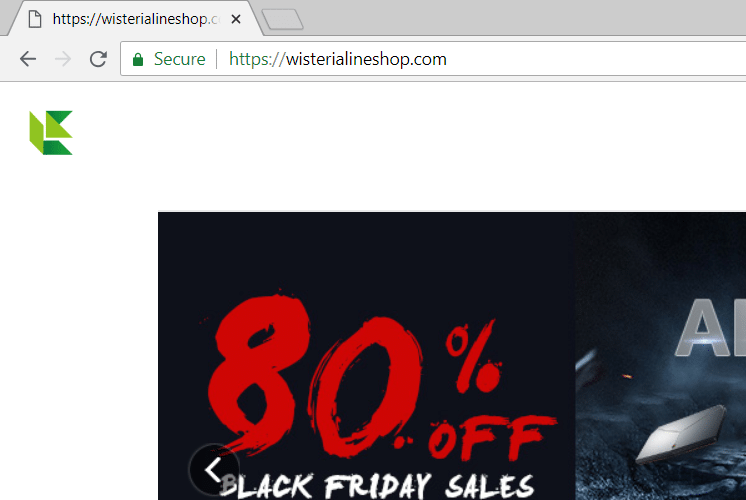 Also, most dubious sites combine low prices with soon-to-end discounts to rush unsuspecting customers into inconsiderate purchases. That's why these sites usually try to press us with almost-gone pieces or lightning deals. Many customers will fall for the attractive price and narrow time margin and proceed to purchase a product that most likely does not exist, or is counterfeit. In most of our online purchases, we are provided with some options to complete our order. Usually, these include some credit/debit card or PayPal. In both cases, we are secured in case something goes wrong with our order; for example, if the laptop we end up with is faulty. We can file a complain or ask for a refund and, if we are right, get our money back. 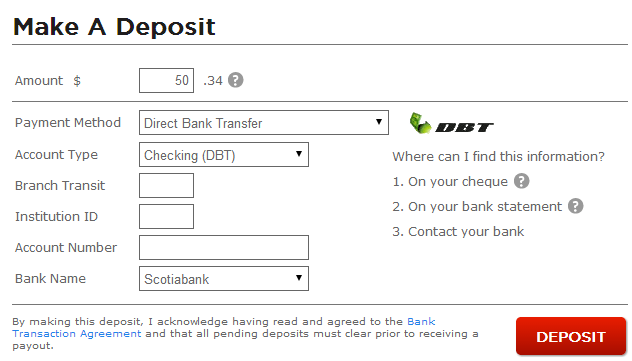 However, if we transfer cash directly to a third party account, through a remittance, we have no right to dispute the transaction. In such cases there is very little we can do to save our money. That's why we will not find such an option in reputable online shops. 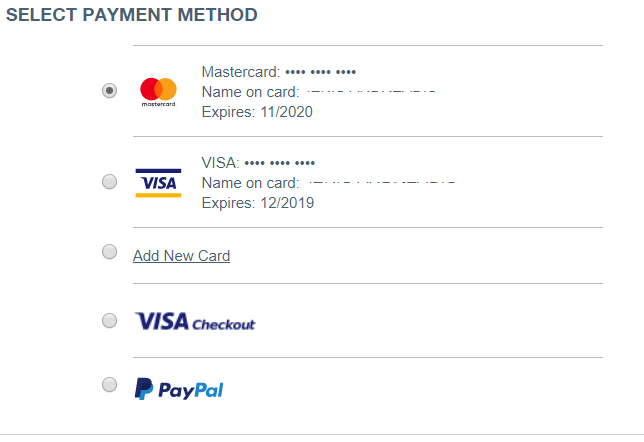 Therefore, we should be extremely suspicious when looking for a cheap refurbished laptop, for websites that include direct bank transfer as a method of payment. And if it's the only available one, we should by no means proceed to any purchases. This is something we could do in general when shopping from online stores, but even more useful in our case. Scam sites offering cheap laptops are usually hastily built, so double-checking them for any suspicious stuff won't take quite long. Although most of the websites we saw when writing this guide are convincingly good-looking, we can detect something weird in a couple of minutes. In most cases, just visiting a page or two is sufficient. Any respectable retailer will include some contact information. If we can't find any relevant info, we surely have to do with a fraudulent site. 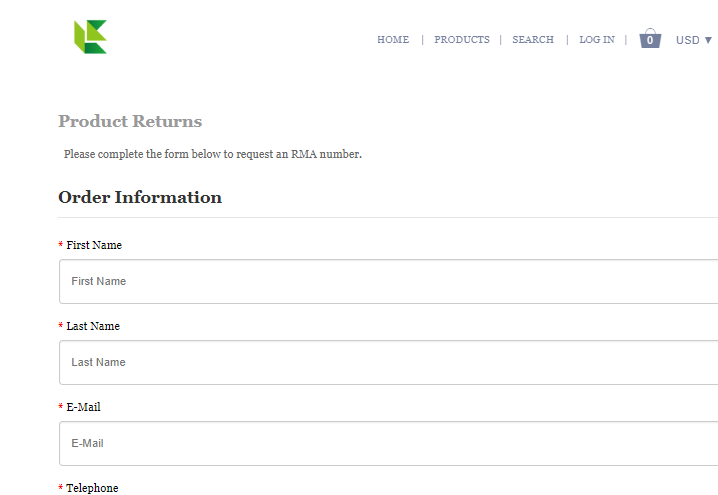 If we do find a contact page, but it's just a form to fill in, this is also a clue of a fraudulent site. What we should look for, instead, is a physical address, an email address, and at least one phone number. In any other case, we should be highly cautious. 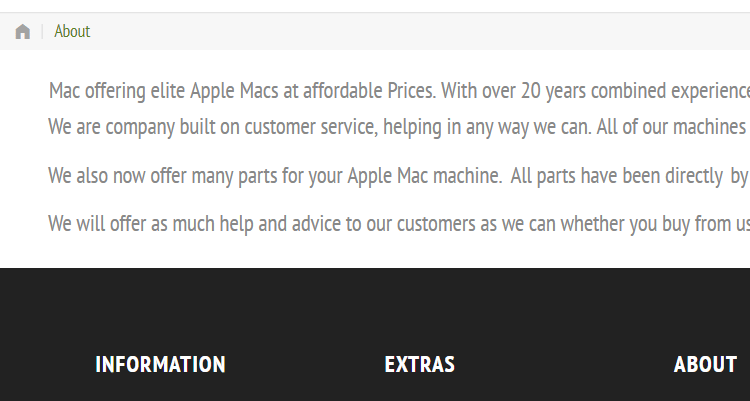 The "About us" page is also another useful source of information. Here, we should watch out for spelling errors and grammar or syntax mistakes. If it's a scam site, the English will be generally poor, usually something a little kid would write. This probably means that the site is not to be trusted. It is something that has been roughly put together by some guy looking for a quick profit. 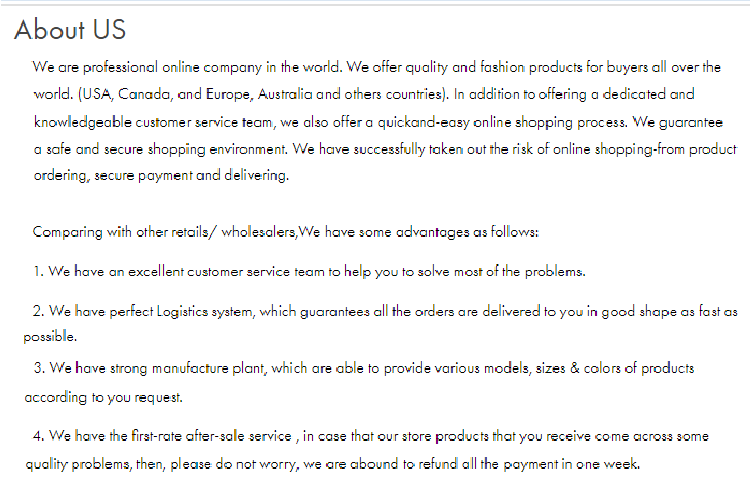 If we are on a legitimate website of a real company, we should find some shipping and returns policy listed. There, we'll check how and under which conditions we can return a refurbished laptop bought from their store. There are many sources, like Sitejabber and Trustpilot, where we can search for customer reviews of any website. 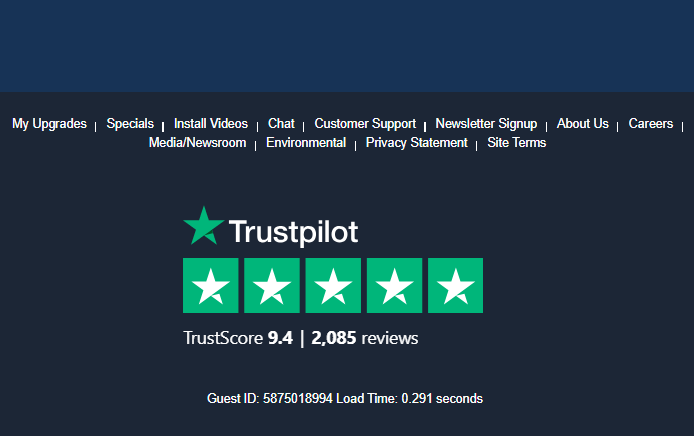 Some sites even show us their ratings to prove they are genuine. 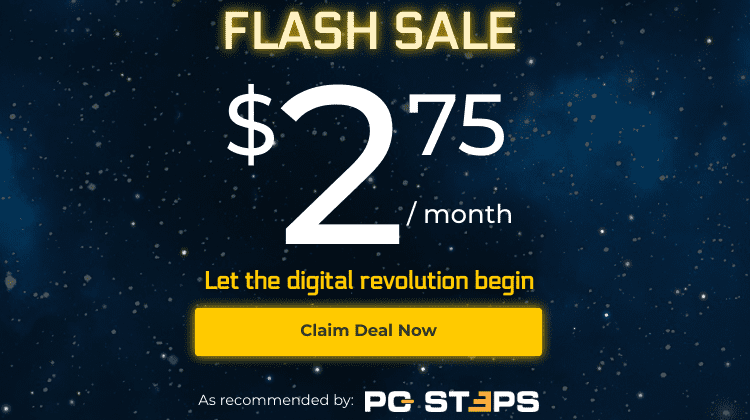 Usually, we are not going to find any reviews for a scam site that just began "selling" refurbished tech. Or, if we find, it will be from dissatisfied customers who just fell for the scam. On the other hand, the owners of a deceitful site might go as far as to generate fake reviews to support their scams. So, we'd better check across more than one review hosted in more than one website to be sure. 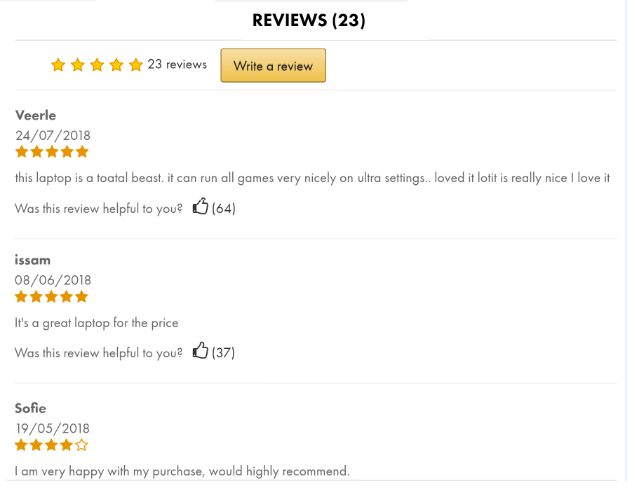 If the reviews are similar to each other (meaning that the same person made them) and none of them are particularly old, it is entirelly possible that the website is not to be trusted. In the above picture, for instance, we can see quite a few satisfied customers, judging by their reviews on the refurbished laptop seller. Most browsers include a sign -usually a green padlock- to denote if a website is secure. Although this may help us to some extent, it does not necessarily mean that the site is genuinely trustworthy. 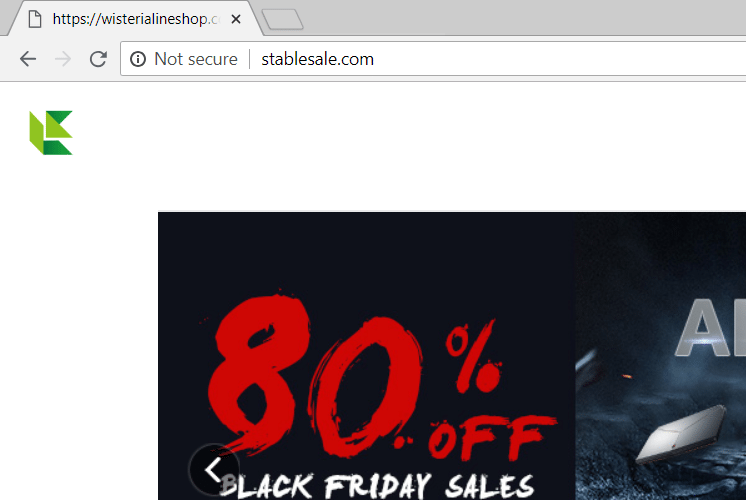 During our search for a refurbished laptop, we stumbled across several obviously fake websites marked as safe by the browser. The same goes for trustmarks. 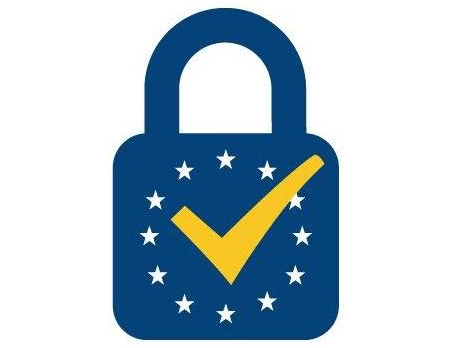 There are quite a few different trustmark logos across the world, like the EU trust mark, indicating that a specific online service is secure. However, this won't deter any scammer from using a trustmark in his website selling non-existent laptops. Even worse, many people are likely to trust a site, just because they'll see a reassuring logo. So we'd better check these signs along with the rest of the steps mentioned earlier. It can be difficult to spot a fake or scam website selling renewed laptops, especially when you are on a strict budget, desperate for any good bargains out there. Have you been tempted to buy from a profoundly fake shop, just because of the price? Leave us a comment. John has a bachelor's degree in economics. He is currently studying Computer Science and enjoys technology and comics.